Yes, it’s weekly meal plan time again, and your friendly neighborhood Dinner Divas hope you’re hungry! As usual, we have five main course options for you along with two extras. This week, a layer cake and an Adult Beverage. Let’s get to it, shall we? 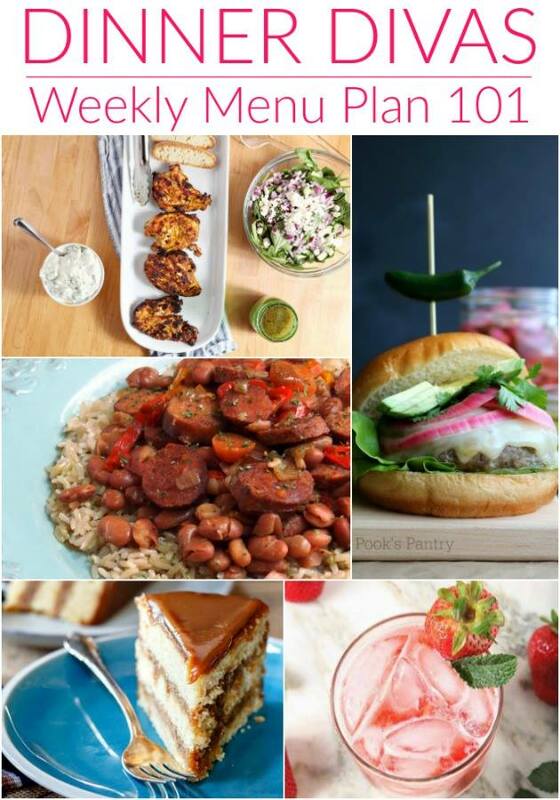 Weekly meal plans hopefully help to give you some dinner ideas for the week. We hope you enjoy! 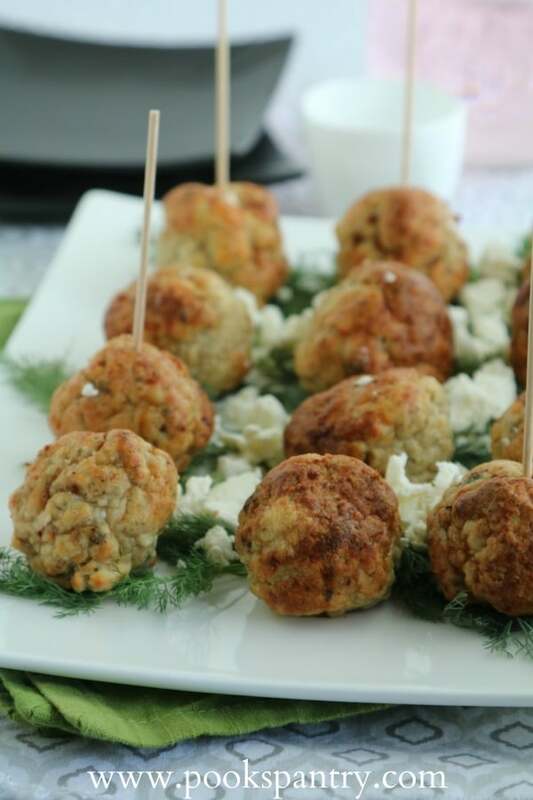 Kick off Monday with a mix-in-one-bowl baked chicken meatball recipe that lets you have dinner on the table in about 30 minutes. Nice way to start the week from Pook's Pantr! 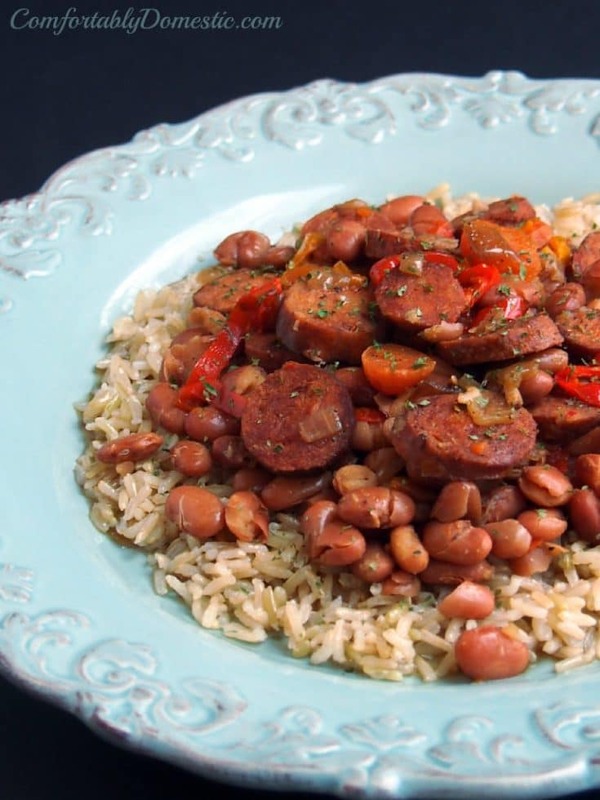 Not sure where you live, but around here, it's still a bit chilly, and I am looking forward to a big plate (or bowl) of these slow cooker red beans and rice from my friend Kirsten at Comfortably Domestic. Chicken Andouille sausage, pinto beans with sweet bell peppers and herbs. Yes, please! 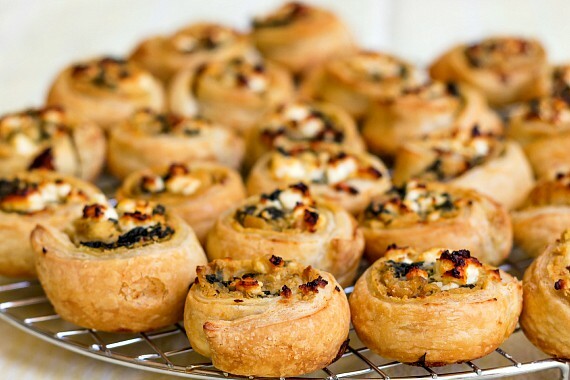 Start with store-bought puff pastry, spread it with hummus and add spinach, pine nuts, feta--delicious Mediterranean flavors--in little bites. Serve 3-4 along with a salad for a simple and tasty weeknight meal. 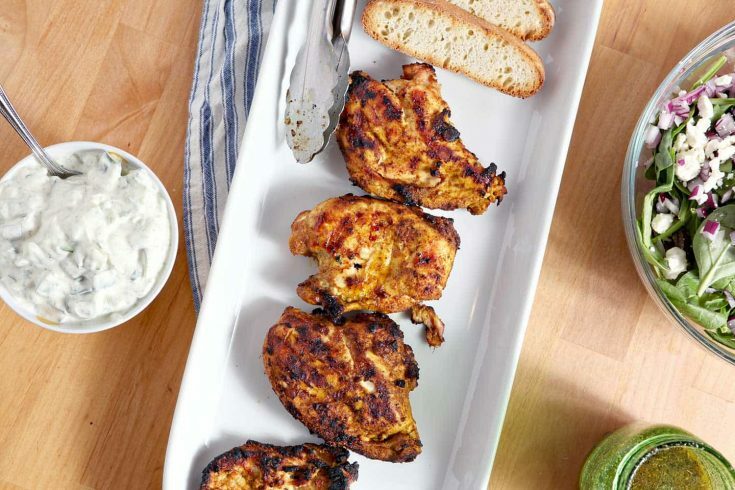 Erin from The Speckled Palate always keeps me hungry, and this week she is grilling up this Chicken Shawarma that is making me drool just a little!Inspired by her favorite food to eat in Louisiana--Lebanese--this chicken gets a quick soak in a lemony, garlicky marinade and then cooks up on the grill. Yup, sign me up. 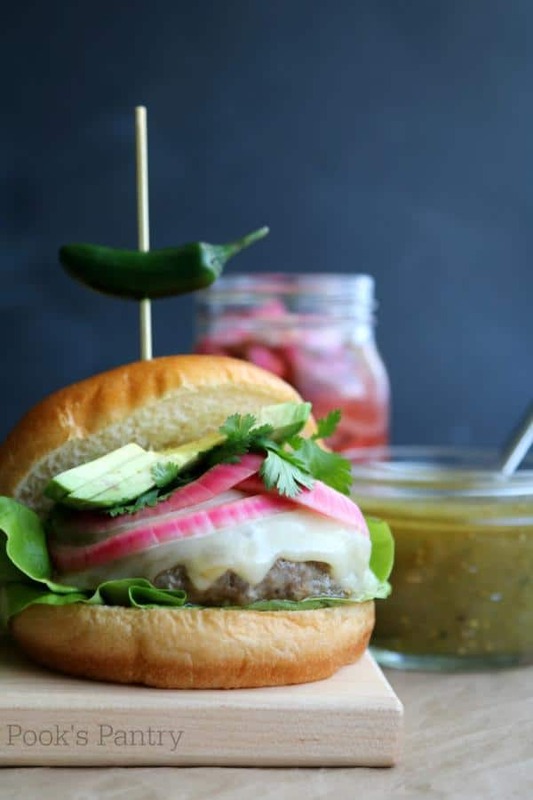 A thick, juicy burger with tangy pickled onions, creamy avocado, and tomatillo salsa. 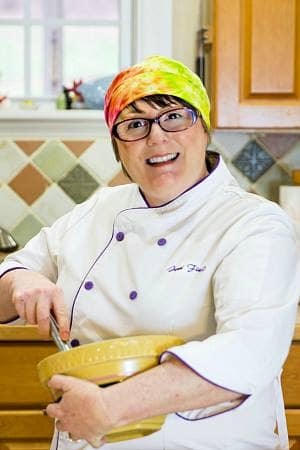 Cheryl from Pook's Pantry is killing me with this burger. Go make some! 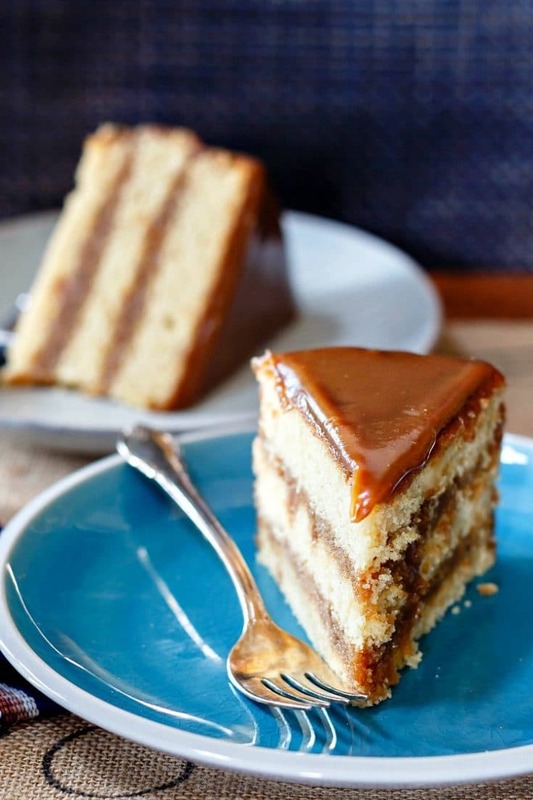 A gorgeous, 3 layer golden yellow cake layered with rich butterscotch sauce that sets up into a sleek icing of soft butterscotch candy. Y'all. Our second extra is this delightful twist on a Moscow Mule. 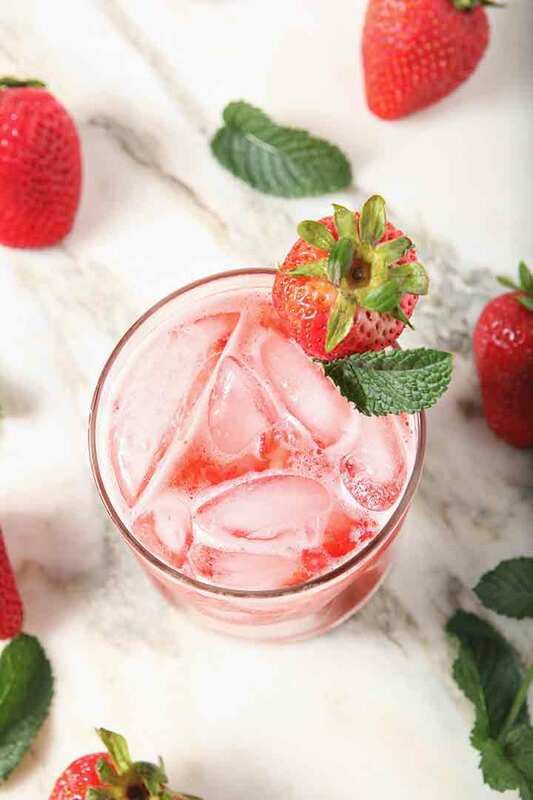 And with strawberries starting to ripen just down the road from me, this one is on my list! And there we have it, friends. I know you will enjoy these recipes, whether you toss everything in a slow cooker and then come home to find dinner waiting or you throw together one of these recipes in about 30 minutes, these recipes all hit the spot. Enjoy the food, y’all! And if there is ever a recipe you’d like to request, give a shout. I know we’ll be able to hook you up! Thanks for spending some time with The Dinner Divas today! Take care, and have a lovely day.